The next dates are December 22, 23, and 24, 2015. And after that will be January 21 and 22, 2016. This website has some events that might be fun. I use an app called Tides Near Me to see when the low tide will be. Here is another option. If I were you, I'd find yourself at a beach when the low tide happens. 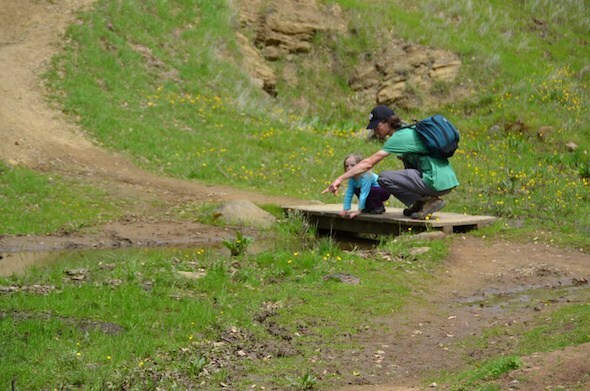 We will take advantage of it with an Outside Kids outing to Point Pinole on Friday, January 22 and/or Saturday, January 23, 2016. We'll meet in the afternoon to coincide with the low tide. More details to come. And we'll see how the weather is... they keep saying El Nino is coming and coming big.